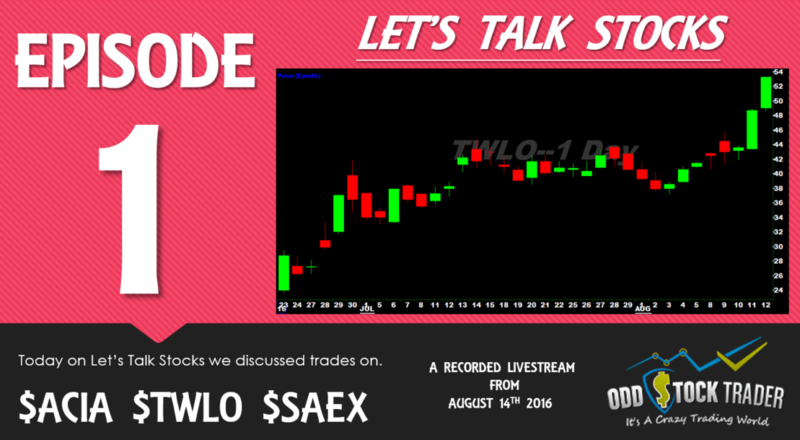 On Today’s episode I went over some of the trades that I took today in ACIA TWLO and SAEX. ACIA breakout and TWLO started today as well after they had earnings, along with that ACIA did the same and surpassing 100 is extremely likely. I wanted to go over some of my thoughts on this TWLO and ACIA breakout to see what they might do in the future.